Sober Look: Have the Saudis miscalculated the impact of lower crude prices on US production? Have the Saudis miscalculated the impact of lower crude prices on US production? 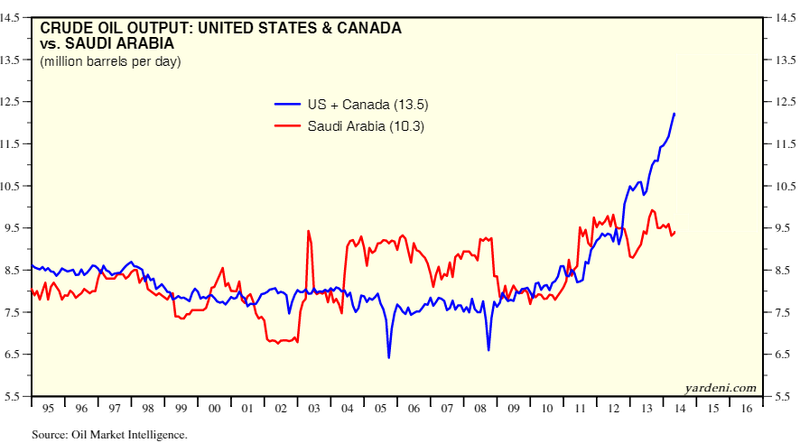 In 2014 the Saudis could no longer accept the loss of crude oil market share as the North American production levels shot up sharply over a three-year period. The Saudi response was quite rational. Rather than cutting production to support crude oil prices, the Saudis announced that output will remain the same. In private they were planning to actually increase production in order to meet rising domestic demand as well as to regain market share. The idea was to put a squeeze on the high-cost North American oil firms, halting production growth and ultimately getting prices back into a more profitable range. Other OPEC nations reluctantly agreed to play along. CNN (November, 2014): - One motivation is to squeeze higher-cost producers in North America, including the booming U.S. shale industry that has reshaped the global energy landscape. It's a move Tony Soprano would be proud of. OPEC is betting lower oil prices will force U.S. producers to throw up the white flag and cut back on production because they won't be able to turn a profit. "The gauntlet has been thrown down for Western Hemisphere producers like Brazil, Canada and the United States," Bespoke Investment Group wrote in a note to clients on Friday. Is it working? So far the results have been less than what the Saudis had hoped for. After a bounce from the lows, crude oil has been trading in a relatively tight range, with WTI futures fluctuating around $60/bbl. 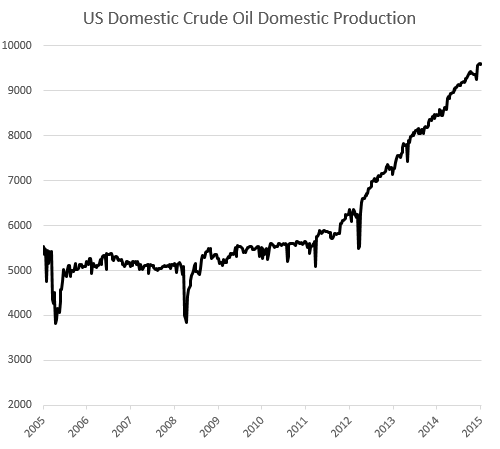 How is this price stability possible when the common wisdom was that oil prices below $70/bbl will force most US producers to close shop and North American production would collapse? 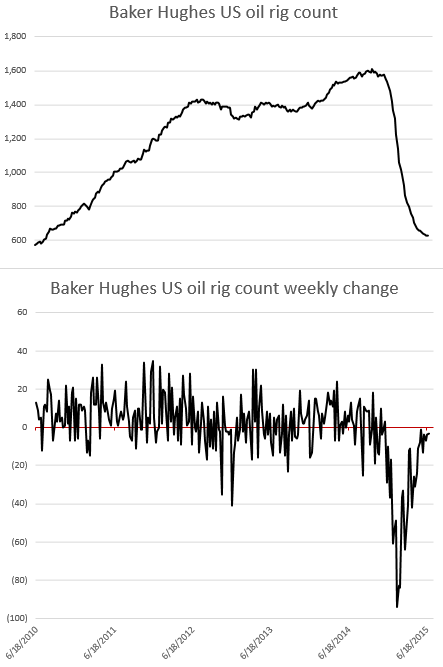 After all we've seen a spectacular decline in active oil rig count. The answer has less to do with rigs that have been taken offline and more with the technology that remains. 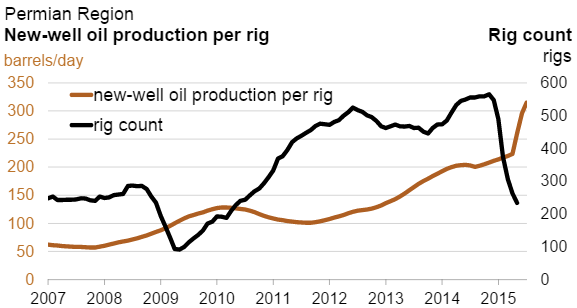 After the inefficient rigs have been shut, US rig count is starting to stabilize. 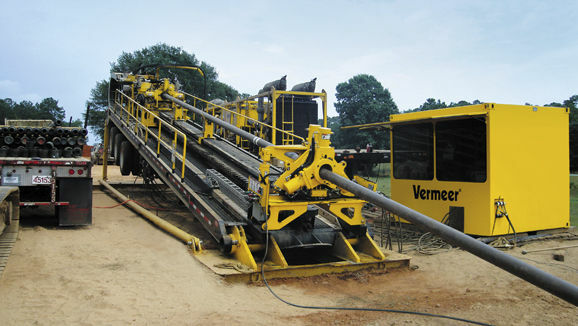 US crude producers are achieving record efficiency with the remaining equipment. 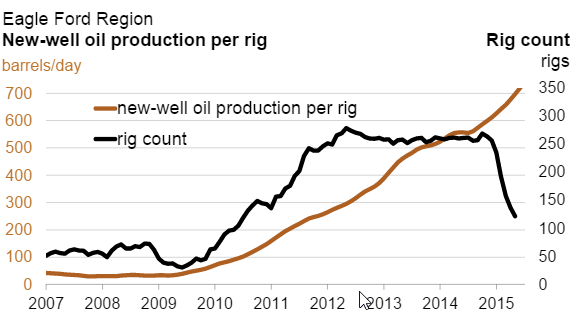 The charts below show new-well oil production per rig. From multi-well padding (multiple wells in a single location) to superior drill bits, technology is helping to keep production levels high. 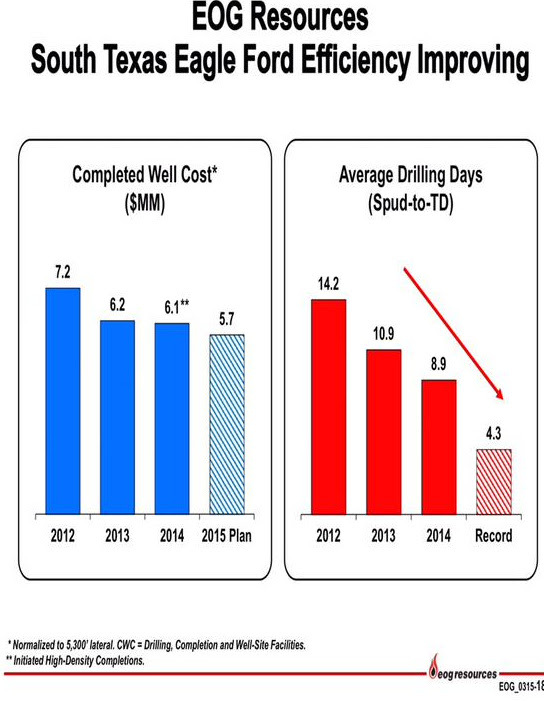 Well completion costs and the speed of drilling have improved to levels many thought were not possible. With the inefficient rigs mothballed, the remaining capacity is quite lean. 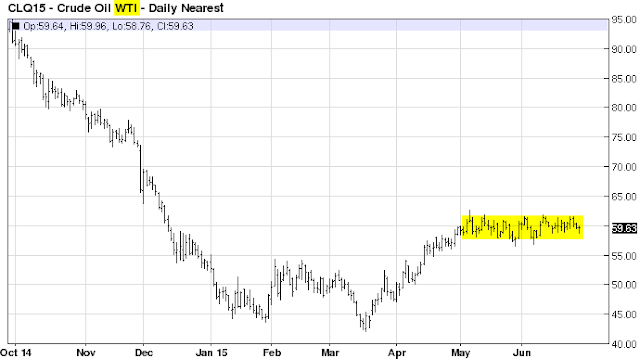 It seems that $60/bbl can now sustain a good portion of current production capacity and even turn a profit. 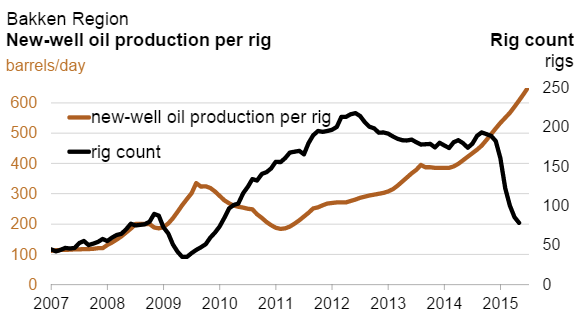 Platts: - ... [US oil producers] have wrung astonishing efficiencies from their operations in a very short period of time, as the number of days to drill a well keeps contracting while initial well production rates and estimated hydrocarbon recoveries expand. Also, corporate efficiencies, coupled with cost concessions of around 15%-25% granted by oil services and equipment providers this year, have also lowered well costs and driven up internal return rates in the best plays to the point that operators appear comfortable with the current price environment, even if they privately hope for an eventual return to $80/b oil. To be sure, there is a significant chance that US production slows in the coming months. Thus far however the results of the recent Saudi efforts to diminish US production have been less than satisfactory.